Ruta Panamericana del Sonido keeps travelling to the continent… and after Argentina, RPS arrives to Chile! This trip explains why Chile is perhaps the most vanguardist country in South America in terms of electronic Music, preserving a unique identity. Indigenous and andean sounds. But even more impressive that this indigenous-andean influenced music, we can show two practically unknown genres for outsiders in Cielo Roto, : Jazz guachaca and Dub Guaracha, something that came from outside, and as soon as chilean musicians heard jazz or dub, they adapted it to their own style. Hopefully new generations of producers keep dropping these two styles. Dj Subversivo brings Victor Jara in an impressive Dub roots that is totally worth downloading the EP for that tune. Matanza, Daniel Klauser, Cholita Sound, prove how proud Chilean are from their Andean indigenous roots, while Lata and Dj Subversivo show how immersed in politics Chilean people still are. 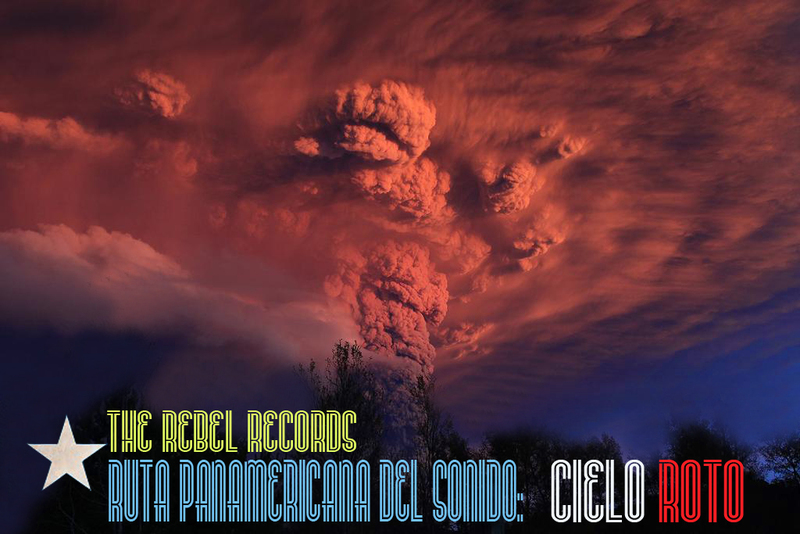 Chong X and Caballo travel with them thru the Chilean Sky, this Cielo Roto. Big thanks to Antartek, Konn, and Diamond Recs in Chile whose artists are featured in this edition of RPS. Chong X and Caballo are artists of The Rebel Records.